Cultivated near Verona, Italy, Vialone Nano rice is delicious rice for risotto cooking. 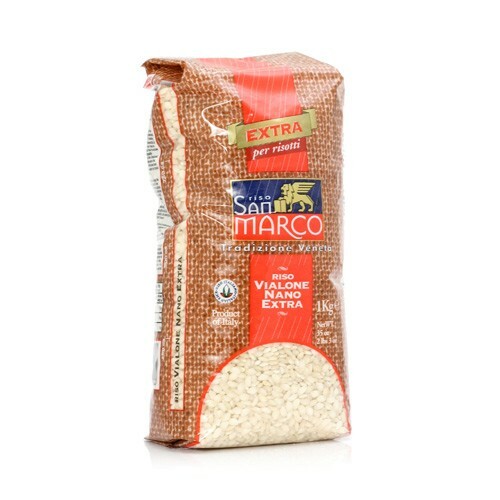 Unlike Carnaroli and Arborio rice, which is classified as superfine for its long grains, Vialone is considered to be a semifine rice which is shorter in height. This is a rice that is traditionally used in dishes common to the regions of the Veneto and Mantova in northeastern Italy.